And it is MINE. All MINE. I mean, I’m a bit weirded out by it, because of being a Classicist/ancient historian. 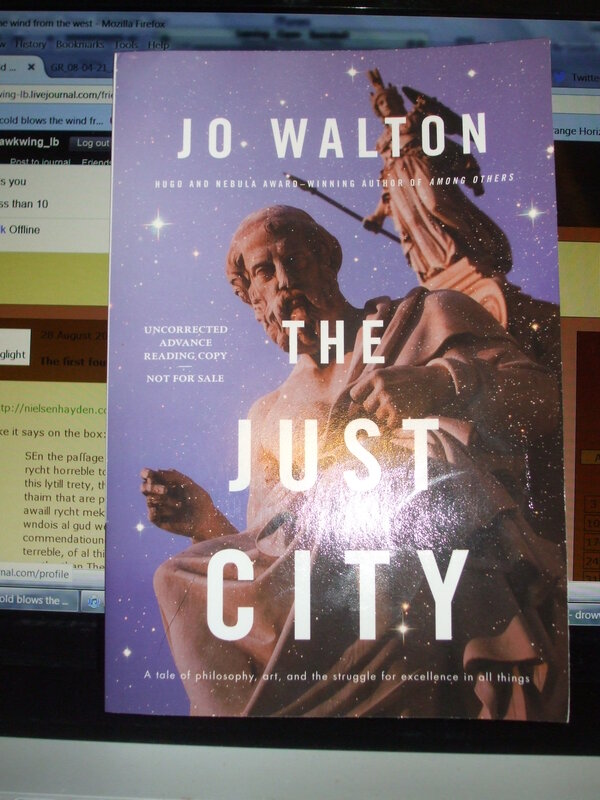 But THE JUST CITY, by Jo Walton! It is looking good! This entry was posted in glamour, SFF and tagged books, Jo Walton, pictures. Bookmark the permalink.